Nagoya city is located in the center of Honshu Island. It is the largest city in Aichi Prefecture and Chubu region. Nagoya has a long history, deep culture and bold traditions. The city is surrounded by industrial areas home of many multi-national automotive, aircraft and robotic companies. With many tourist destinations, natural scenic and famous universities, Nagoya is the place for both studying and enjoying life in Japan. Public transportation is well developed. It has JR, Nagoya Railway, Kintetsu Railway and subway. The subway is very convenient. It has 6 lines running accros the city: Higashiyama, Meijo, Tsurumai, Sakuradori, Meiko, and Kamiida lines. You can get around the city by this subway system with convenient tickets such as 1 day pass ticket or the Donichi Eco Kippu for just 600 yen. 245 meters high, the JR Central Towers is recorded in the Guinness World Record as the tallest train station in the world in 2014. In addition to office floors, there are commercial facilities such as hotels and department stores overflowing with people every day. Nagoya city science Museum is a special landmark with the world’s biggest planetarium in spherical shape of 35 meters diameter. 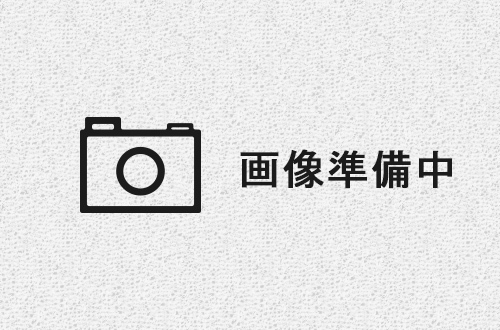 NCSM is more than an attractive tourist site. It is the place where you can study about natural phenomenon, space, science and the relationships of them with human beings. Port of Nagoya Public Aquarium exhibits 500 different kind of species of fish, penguins, dolphins and more than 50,000 marine creatures. The main pool is the largest in the world, approx. 3000 people can be seated and watch the astonishing dolphins show. 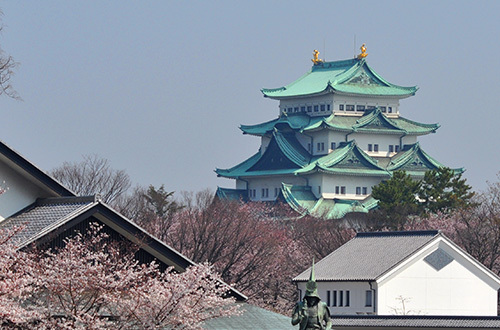 In contrast to the modernized area of city, Nagoya castle is the city’s old landmark and symbol of Nagoya’s pride and power. 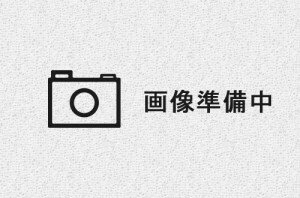 There are many events that should not be missed, such as the cherry blossom festival, the summer festival and the chrysanthemum doll show. 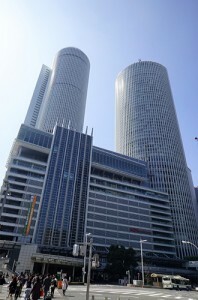 Oasis 21 is a three dimensional maltiple facilities located in central Nagoya. The symbol of the park is the “Spaceship Aqua” located on the roof. Enjoy a 14m high skywalk along the “spaceship”. Osu shopping district is the collection of Osu temple and more than 1200 shops which sell a wide variety of products such as clothes, cameras, food, souvenirs, etc. It is also the place for organizing some of the most interesting festivals in Nagoya, such as the World Cosplay summit. Chubu Centrair International Airport is not only the transportation hub of the Chubu Region but also a destination for locals and tourists. Beside the basic services as the international airport, you can go on airport tour, join evnets, dine and shop in many restaurants and stores here. Nagoya city has a list of interesting museums such as SCMaglev and Railway Park, Toyota Automobile Museum, Nagoya City Art Museum and especially Tokugawa Art Museum where you can enjoy the richness of technology, art and culture. Nagoya is famouse for dishes using miso which is sweet and salty as a flavor. Now a days, we find a lot of Nagoya’s original dishes called “Nagoya-meshi” which has become popular nation wide.